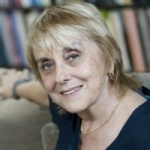 Lisa Jardine CBE is Centenary Professor of Renaissance Studies at Queen Mary, University of London. She has been Head of the School of English and Drama, and Dean of Arts, and is now Director of the Centre for Editing Lives and Letters at Queen Mary. She is a Fellow of the Royal Historical Society and an Honorary Fellow of King's College, Cambridge and Jesus College, Cambridge. She is an honorary Doctor of Letters at the University of St Andrews, and holds an honorary doctorate at Sheffield Hallam University. She is a Trustee of the V&A Museum and Chair of the Bethnal Green Museum of Childhood Board of Trustees, a member of the Councils of the AHRC and of the Royal Institution, and sits on the Michael Faraday Prize Committee and Library Committee of the Royal Society. She is also a Trustee of the Sir Joseph Banks Archive Project, and patron of the National Council on Archives. 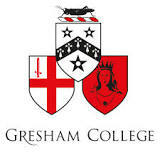 For the academic year 2007-08 she will be seconded to the Royal Society as Advisor to its Collection. In 2008-09 she will take up a Distinguished Visitor Fellowship at The Hague, awarded jointly by the Koninklijke Bibliotheek, National Library of the Netherlands (KB) and the Netherlands Institute for Advanced Study (NIAS). Professor Jardine writes and reviews for all the major UK national newspapers and magazines and for the Washington Post, and has presented and appears regularly on arts, history, and current affairs programmes for television and radio. She is a regular writer and presenter of �A Point of View� on Sunday mornings on BBC Radio 4. She judged the 1996 Whitbread Prize, the 1999 Guardian First Book Award, the 2000 Orwell Prize, and was Chair of Judges for the 1997 Orange Prize and the 2002 Man Booker Prize. She has published over fifty scholarly articles in refereed journals, and seventeen full-length books, both for an academic and for a general readership. She is the author of a number of best-selling general books including Worldly Goods: A New History of the Renaissance, Ingenious Pursuits: Building the Scientific Revolution, and biographies of Sir Christopher Wren and Robert Hooke. Her latest book, on Anglo-Dutch reciprocal influence in the seventeenth century, entitled Going Dutch: How England Plundered Holland's Glory, will be published by HarperCollins in the UK and US, and by Arbeiderspers in the Netherlands, in March 2008.